What Caused One of Madagascar's Largest Lemur Die-Offs? Teams of researchers are trying to uncover the cause of death for 31 Verraux's sifakas Lemurs—which could spell the end for the critically endangered species. Lemurs in Madagascar have been under pressure from deforestation, poaching, drought, and other challenges for years. Now, in the much-visited Berenty Reserve near the island&apos;s southern tip, one species faces a mysterious new threat. In the last month and a half, at least 31 Verreaux&apos;s sifakas have died in the reserve. Most were found already dead; others were found gravely ill and later died from respiratory failure. Berenty staff and local scientists have reached out to veterinarians and primatologists across the world. The experts believe that a parasite or tick-borne disease is likely to blame, but the exact cause remains unknown. 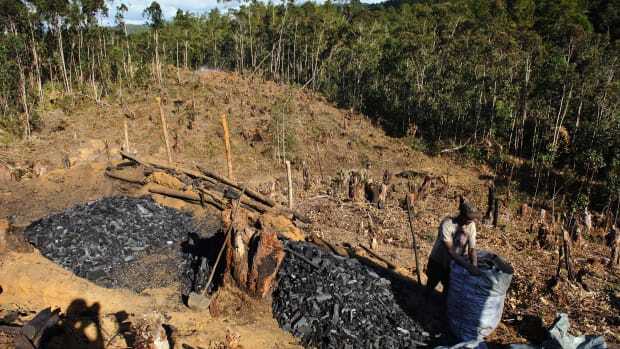 This is the one of largest lemur die-offs that scientists in Madagascar can remember. "We haven&apos;t seen something like this before," says Patricia Wright, a lemur expert and the founder of Centre ValBio, a research center in eastern central Madagascar. Verreaux&apos;s sifakas were struggling long before this outbreak. The white, fluffy lemurs were already listed as endangered by the International Union for Conservation of Nature. The population is highly fragmented and has been declining for decades, according to the IUCN. The species is found in the dry areas and spiny forests of southwest Madagascar. By coincidence, a large IUCN Red List Primate Specialist Group meeting took place last week in Antananarivo, Madagascar&apos;s capital, and re-assessing the endangerment status of all lemur species was a top agenda item. The group decided to uplist all nine sifaka species from endangered to critically endangered, according to people in attendance. The status change is not yet official, but during the meeting the Facebook page of the specialist group&apos;s Lemur Conservation Network project mentioned it: "We are very sad to announce that all sifaka species are now under the Critically Endangered criteria." Verreaux&apos;s sifakas travel in groups of up to 14 individuals, and at least two of these groups have been killed off in Berenty since late March. Berenty is a private reserve run by a French family that owns a local sisal business. For decades, it has been a research site and a popular ecotourism destination. Lemurs are the main attraction. Scientists have pieced together clues about the cause of death by assessing the afflicted sifakas that were found still alive. Several of those sifakas had paralyzed hind legs; to move, they had to drag themselves by their hands on the forest floor. (Normally, Verreaux&apos;s sifakas have powerful hind legs that allow them to bounce sideways on the ground or jump as far as 10 feet from tree to tree.) Within a day, in most of the cases, the paralysis moved up the body and into the lungs, causing death from respiratory failure. Most of the dead sifakas were found covered in ticks, which scientists say may have caused the paralysis by transmitting a neurotoxin or some type of infectious rickettsial bacteria to the sifakas. However, in 2014, scientists found many other Verreaux&apos;s sifakas covered in ticks, and they showed no signs of disease. Another possibility is that the recent deaths were caused by single-cell toxoplasma parasites, which affect the nervous system and which, like rickettsial bacteria, could have been brought to the area by humans. The parasites could have been in the local soil or in cat dung. Tissue and organ samples from the dead sifakas&apos; bodies have been sent to the Institut Pasteur de Madagascar, in Antananarivo, but the test results have not yet come back. Almost all of the dead sifakas were male, and this at first led scientists to believe that perhaps the deaths were due to aggressive territorial disputes. Because outside threats have forced Verreaux&apos;s sifakas and other lemur species to crowd into small areas, this wouldn&apos;t be surprising. "When we found the first nine [dead sifakas] we thought it might be due to an overpopulation," says Claire Foulon, the reserve manager. However, the dead bodies showed no signs of violence, and that theory has now been ruled out. 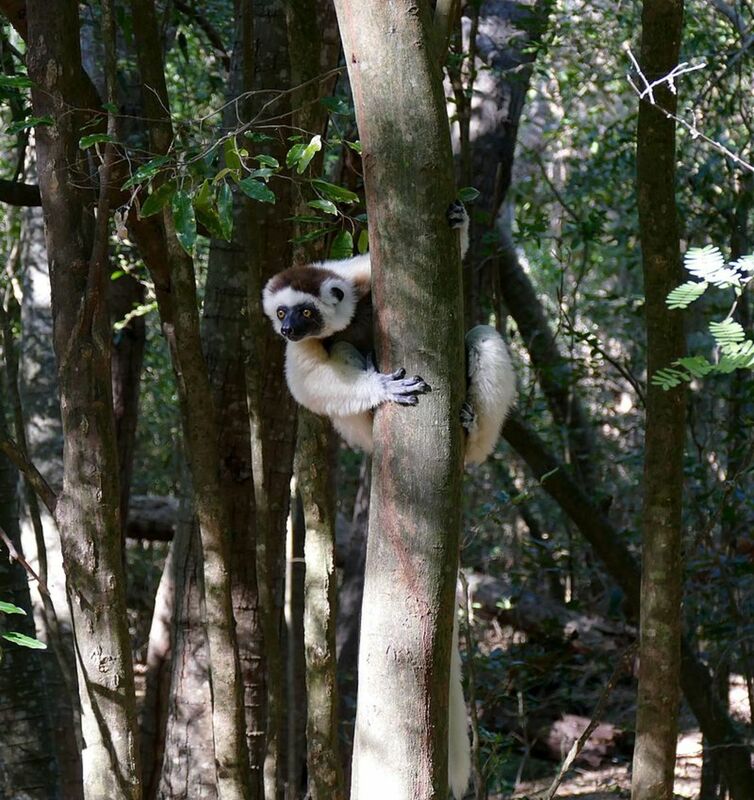 Experts are not sure why most of the dead sifakas are male. Whatever the cause of the illness turns out to be, other types of lemurs do not appear to be as vulnerable to it as the Verreaux&apos;s sifakas. So far, none of the many ring-tailed lemurs in the same area have been affected. However, one brown lemur was found dead, apparently from the same illness. A team of veterinarians from Germany is now on site to support the Malagasy veterinarian working on the case. Edward Carver is a freelance journalist based in Madagascar, reporting on stories across the western Indian Ocean region. 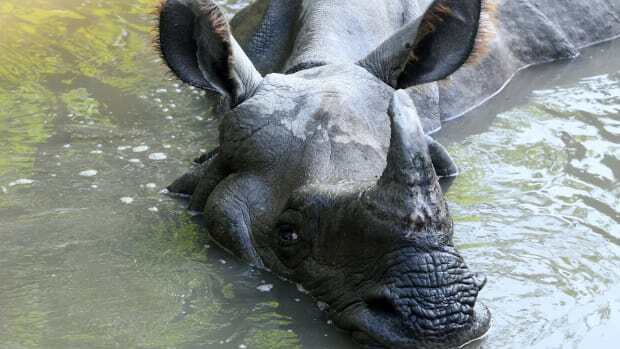 Nepal has had remarkable success at tackling the poaching of its greater one-horned rhinos but, since 2015, it has witnessed a sharp increase in deaths from unknown or natural causes. 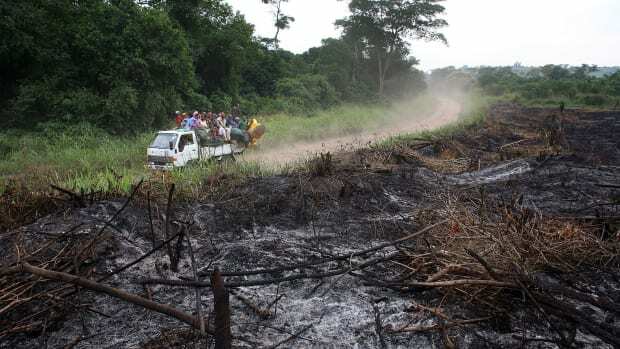 Satellite data indicates that the Congo Basin lost an area of forest larger than Bangladesh between 2000 and 2014. 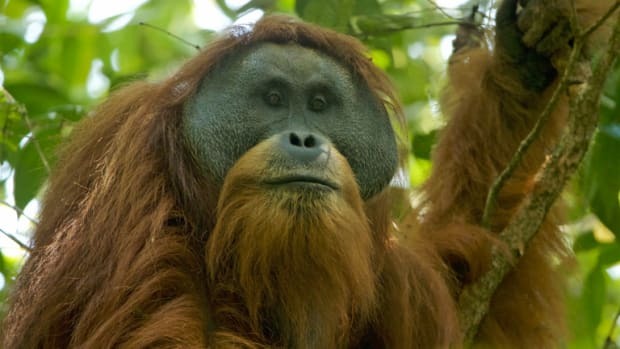 With no more than 800 individuals left in a fragile habitat, the Tapanuli orangutan could face extinction not long after we became aware of its existence. 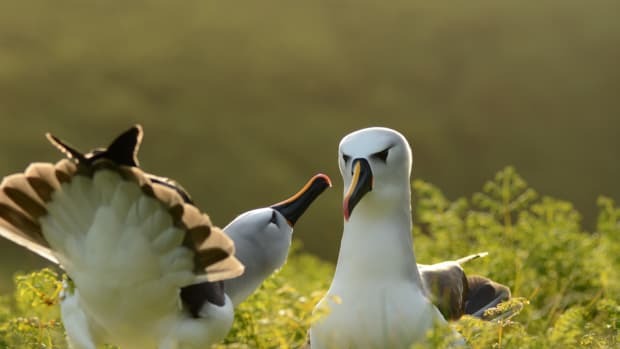 New research shows that culling invasive, non-native animals on just 169 islands around the world over roughly the next decade could help save almost 10 percent of island-dwelling animals at risk of extinction. Crab Invasions, Tropical Visitors, and Massive Marine Die-Offs: What’s Going on In the Pacific? 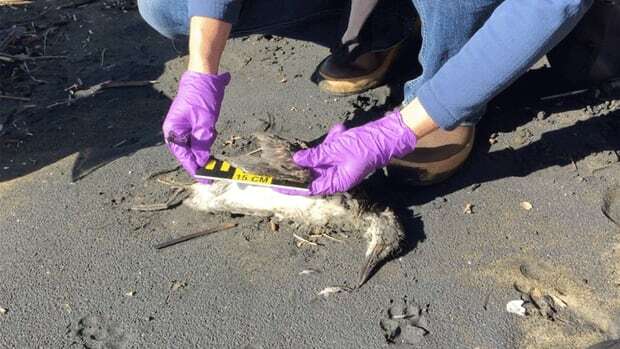 Mass die-offs in the Pacific are sending the emaciated bodies of seabirds, seals, and sea lions ashore from California to Alaska.